Class has released the SMSF Benchmark Report for the June 2018 quarter. 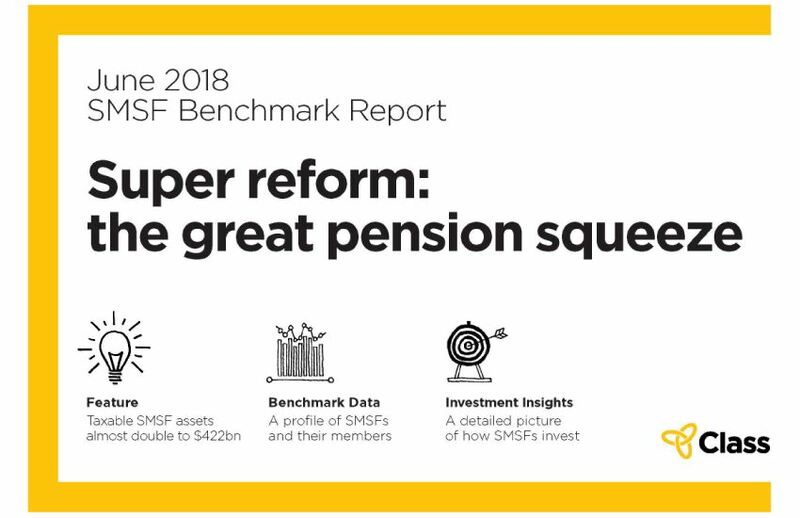 The latest report has exposed the real impact of Super Reforms on pension assets, with the dual forces of TRIS change and introduction of the $1.6m transfer balance cap forcing assets to move into accumulation and mixed phases. At June 2018, asset value in accumulation phase was $422bn, a 90% increase from March 2017. The hard hitting impact of this change is that almost 25% of SMSF tax free assets have lost that status. For more, download the latest Class Benchmark Report.